These contemporary christmas themed mint tins will appeal to both male and female guests. This modern package for your sweets (fill them with mints or candy that you like best) also makes a practical favor, after your christmas event your guests can easily slip them into their pocket or purse. 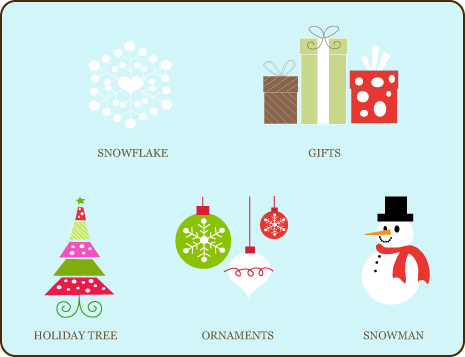 You can choose the color and theme on the label to match the personal style of your christmas party. 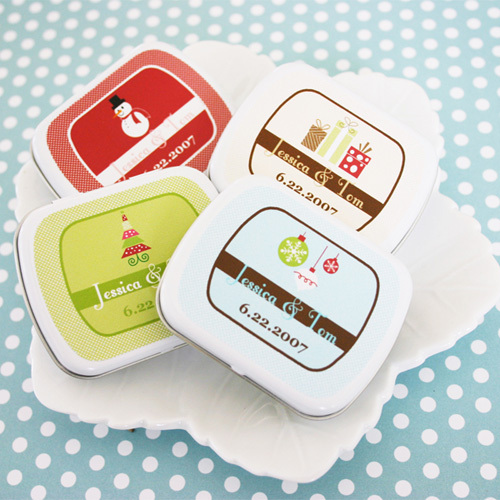 Tins come personalized with a christmas holiday design, your names and date or message. MINTS ARE NOT INCLUDED; you are free to fill them as you wish.